With some of the world’s favorite superheroes existing for over half a century, jumping into comics is hard. In order to combat this phenomenon and bring in new readers, comic book companies have had to master the reboot. The most recognizable reboot in recent years is DC’s New 52, which retroactively discarded the stories that defined their characters. They started fresh. Marvel, though, has looked to soft reboots to solve many of their problems. Without uprooting years of continuity, Marvel either restarts their series at issue #1 or they introduce a new alternate reality into the mix. With their release of the Ultimate Marvel Universe in 2000, Marvel paved the way for new fans to learn more about their favorite characters while giving the company the opportunity to experiment with new storylines. Starting with ULTIMATE SPIDER-MAN #1, Ultimate Marvel began. 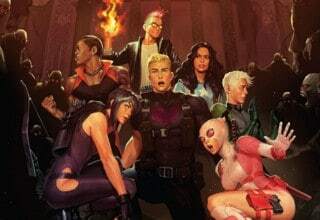 The versions of these characters may share physical appearances with their main universe (Earth-616) counterparts, but they are wholly unique in their histories. Tied together by massive sweeping tales of genetic manipulation, extreme bias, and raging political agendas, the Ultimate Marvel Universe as a reboot was meant to stem from real headlines. This ain’t your grandparents’ Marvel Universe, and that led to success after success in the early years. 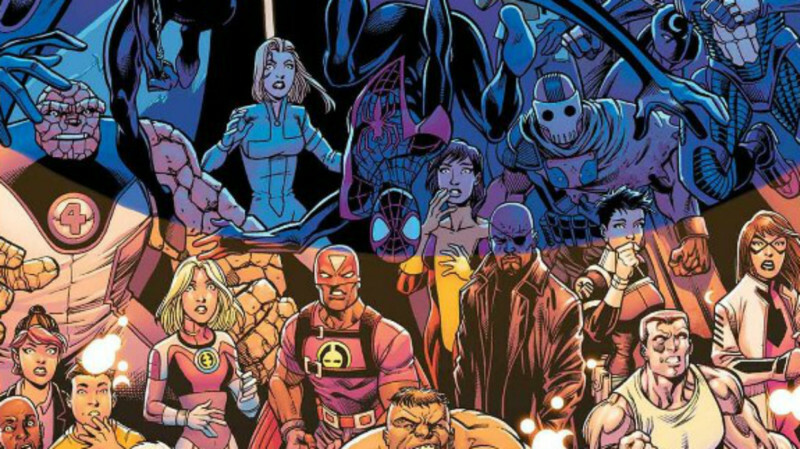 What set Ultimate Marvel apart from other company’s reboots was its focus on being a gateway into comics. 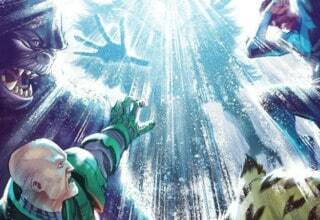 The creation of this world didn’t disrupt or destroy the events of Earth-616. Both universes existed simultaneously, but they were also completely separate from each other. READ: Interested in vacationing in the comic book universe? Check out our newest series, Your Weekly Vacation, and your travel options in Marvel’s New York City! After the recent SECRET WARS event, the Ultimate Universe has been destroyed. As the many Marvel realities collapsed, Doctor Doom created a world from their splinters, but the end of the event saw his Battleworld destroyed as well. All that remains is Earth-616. The Ultimate characters left a legacy, though, and many have found their way into the last remaining Marvel Universe. 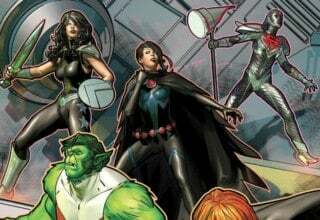 Miles Morales, the new Spider-Man, has been a staple of the ALL-NEW, ALL-DIFFERENT AVENGERS and most recently THE CHAMPIONS, to give an example. 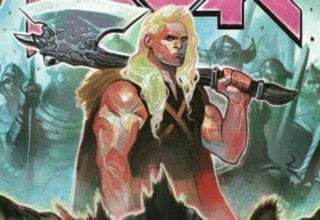 With the recent reveal of Jimmy Hudson, Ultimate Wolverine’s son, in X-MEN BLUE #4, we decided to explore other Ultimate Universe characters that deserve new stories in Earth-616. Most people know the Hulk. Bruce Banner was a scientist, studying the effects of Gamma Bomb Radiation. 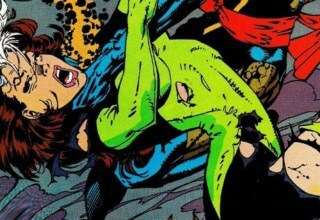 When Rick Jones gets caught in the testing zone, Banner took the brunt of the blast to save him. The gamma radiation turned Banner into a raging green goliath when angered. While this Hulk has lost control on several occasions, he is still a hero. Saving lives focuses and aids him with controlling his rage. Ultimate Marvel Hulk is not a hero. Used as a weapon on some occasions, this gray behemoth more closely fits the Jekyll and Hyde archetype. When shy, scrawny Bruce Banner turns into the Hulk, he has never grasped control, shy for a few times around the end of ULTIMATES 2. He turns instead to chaos, carnage, and fits of cannibalism. Bruce Banner gained his powers after self-testing an experimental super soldier serum. From that moment, acts of villainy define his superhuman career. With 616 Bruce Banner killed during CIVIL WAR II, I hesitate to include his double on this list. It is far too common for heroes to evade death’s permanence. However, with Amadeus Cho acting as the current variation of the Hulk, Marvel can easily reintroduce Ultimate Hulk. Banner himself is sympathetic, completely locked into his bond with the monster. As a villainous foil to Cho, Banner could dig into themes of control and choice. Perhaps Cho would give Banner a chance at redemption, only to see it destroyed alongside a city block. Or perhaps Ultimate Marvel Banner meets Jennifer Walters, the cousin of the first Hulk who lost control of her Hulk powers after Bruce’s death. He may act as a figure of closure for the world’s strongest woman, or perhaps Banner invites more trauma for her. Elliot Boggs does not exist in Earth-616. He has no counterpart character. Most importantly, his character arc was never completed. Taking the name Magician, Elliot arrived at the X-Mansion after his powers presumably killed his parents. Director Nick Fury escorted the young man to Charles Xavier personally, hoping that the professor would help the boy control his powers. Elliot was soon invited on a mission, and he quickly grew close to the other students. After several missions, Nick Fury approaches Xavier about bringing Elliot onto the Ultimates, this universe’s Avengers. He states that his prowess astounded him and Elliot’s parents, a fact that digs at Xavier. At that moment, Xavier realizes the full scope of Elliot’s abilities. Magician can alter reality. After this deceit, Xavier sends the other X-Men after Elliot, and despite summoning copies of the X-Men’s greatest foes, Wolverine seemingly kills him. READ: Interested in X-Men history? Dig into the origins and endings of the world’s most famous mutant, Wolverine! As is the case, Elliot never actually died. He altered reality and left the battlefield, saying that he would head somewhere he could be alone. His goal was to master his powers without endangering anyone else. Elliot’s return could be an impetus to finish this arc. While none of the other heroes may recognize him, Elliot could return to the X-Mansion to make amends for his mistakes, saving the team or stopping some great foe. There is a ton of potential in this character, and not simply for his great powers. Magician got a raw deal, and while reality warpers carry far too much power for a believable story, the emotional potential could carry a lot of weight. Unlike many of the characters on this list, Nomi Blume has already made an appearance in Earth-616. In the same issue in which Jimmy Hudson was revealed, Nomi was shown leading a team of Ultimate Marvel’s X-Men to recapture him. It may seem like cheating to include her here, but her potential in continued stories cannot be overlooked. My main fear with her inclusion in X-MEN BLUE #4 is that she will fall to the wayside after this story arc when her character deserves so much more attention. Appearing in the ULTIMATE X-MEN comics, Nomi Blume assumed the name Mach-II as her superhero alias. 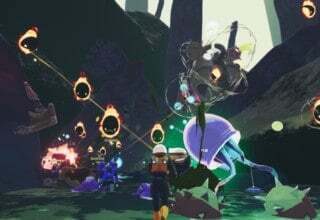 Though gifted at first with meager magnetic abilities, her growing control over the years allowed her incredible strength and precision when controlling magnetic fields. Her powers became so great that she could even isolate and control the iron in a person’s blood. In her original appearance, Nomi was placed in direct opposition to Kitty Pryde. Nomi felt that Kitty’s leadership was lax, leading to the propagation of a mutant cure and the internment of all mutants in prison camps. While violence defined her methods, her leadership of the mutants in the camps helped lead to their escape. While she may at first appear like a discount Magneto, her intentions are far more pure and altruistic. In a future role in Earth-616, I’d like to see Mach-II take on a new leadership role, battling for mutant rights on her terms. Perhaps she takes a directly antagonistic role against the main Kitty Pryde, but I see her upcoming role as one of hesitant alliance. Either way, she deserves more than just a cameo appearance. With the number of Spiders swinging about Earth-616, it may be hard to defend that Ultimate Marvel’s Jessica Drew deserves an appearance. Jessica Drew (Spider-Woman) already exists in the main Marvel Universe as one of its most beloved characters. Also, many characters have taken on the role of either Spider-Girl or Spider-Woman over the last few decades. Even accepting yet another variation, hesitation may set in knowing that Ultimate Jessica Drew is a Peter Parker Clone. The original Clone Saga garners a wide range of opinions. A great deal of intrigue and interest lies in the storytelling, but confusing plot threads drew the story out too long. Ultimate Marvel’s version took a turn for the better by introducing five drastically different versions of that Earth’s Spider-Man. Among these was Jessica Drew, the only female clone in that batch. After escaping with the others, Jessica made a vow to keep them away from Peter. She failed, and together they faced a superpowered Doctor Octopus. Jessica Drew would make further appearances as the leader of the Young Ultimates and in the SpiderVerse storyline as Black Widow. No matter what persona she adopts, her appearance in the main Marvel Universe is wholly necessary. With Miles Morales doing battle in Earth-616, Jessica deserves a shot at making a name for herself. In fact, I see that as her primary character arc. In SpiderVerse, she voiced her concern that she wasn’t a real person. Her emotions, her own thoughts, didn’t matter because she grew up in a test-tube. While this is a trope in several cloning or duplicate stories, this arc would only be bolstered with appearances by 616 Jessica Drew as mentor. Another of Peter Parker’s clones, Scorpion differs from Jessica Drew in that he was expressly designed to be a weapon. Implanted with fragments of Peter’s worst memories, Ultimate Marvel’s Scorpion underwent intensive physical modifications. Scientists actually fused the Scorpion tail to his spine. This particular clone was meant to kill. He proved to be very good at it. After escaping his holding cell, Scorpion’s first act of freedom was to attack a shopping mall. Moments after wiping out a crew of police officers with his suit’s acid blasters, Spider-Man arrived to find the mall in flames. I want Scorpion to find his way into the main Marvel Continuity for much the same reason I want Magician to make a resurgence. Both characters never got to see the end of their character arcs. In fact, the last time we see Scorpion, he is being carted to a S.H.I.E.L.D. research facility. However, I don’t want to see this character return as a villain. Scorpion has never been allowed to make his own decisions. His existence so far has been little more than suffering and violence. With the right mentor, the right research team, this clone of Peter Parker could find his way as a powerful antihero in the main Marvel universe. He deserves the same chances that Jessica Drew received. READ: A defense of comic books! How Bill Maher’s thoughts on comics-born complacency have no groundings in fact! While I wanted to devote this entry to Ultimate Marvel’s Antonio “Tony” Stark, we all know that the world simply isn’t big enough for two Tony Starks. However, in researching the Ultimate version of Iron Man, a rather nice loophole appeared in the form of Tony’s sentient brain tumor. 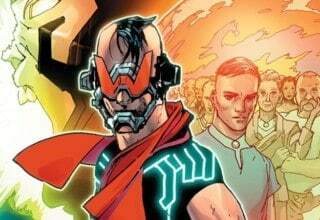 While Earth-616 Tony Stark was spurred into heroism by a traumatic terrorist attack, Ultimate Marvel’s version stumbled into the suit after discovering he had cancer. Wanting to leave behind a true legacy, Stark joined the Ultimates as Iron Man and became one of the Ultimate Universe’s greatest heroes. Ultimate Iron Man is a unique and interesting character, but if anything from his mythos were to return, his brain tumor is a prime candidate. Nicknamed Anthony, Tony discovered that the tumor had a mind of its own. Able to manifest itself as a visual hallucination, Tony alone could see the boy, though Anthony became a hero in his own right. With the ability to interface with tech by separating itself from his host, Anthony has built and controlled his own versions of the Iron Man armor. While Quicksilver “killed” Anthony, a lot of potential exists in Anthony’s return. Tony Stark doesn’t need to develop a sentient brain tumor. Rather, perhaps Anthony wormed his way into a computer system before he died, or inhabited Stark’s armor. No matter the explanation, interactions with a being manifesting as young Tony Stark could help rebuild the comatose 616 Tony. While the world may not be big enough for two Stark egos, a sentient computer program possessing his suits would lead to a number of potential opportunities. Ultimate Marvel gave Magda Lensherr a badass little twist from her Earth-616 counterpart. In the main Marvel Universe, Magda Eisenhardt was Magneto’s first wife and the presumed mother of Scarlet Witch and Quicksilver. As a survivor of the Nazi concentration camps, Magda Eisenhardt fled her husband after the manifestation of his mutant powers. Pietro and Wanda believe she died in the woods after giving birth to them, but Marvel retconned this later. In the Ultimate Marvel Universe, her origin was drastically altered. While still falling in love with Erik Lehnsherr, Magda did so while watching him for an undesignated world government. A freelance agent, Magda gave birth to the twins, but Magneto and the children left once they learned the truth about the woman. Many years later, Magda would meet James Howlett, and she would give birth to his son, Jimmy Hudson. Magda does not appear much in the Ultimate Universe. 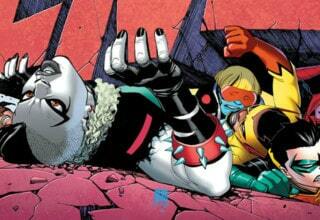 However, just before SECRET WARS, she stopped a fight between Quicksilver and Jimmy. While Magda does not share the same amount of page time as many of this list’s entries, writers shouldn’t overlook her potential. Both of her living children, Pietro and Jimmy, now exist in the main Marvel universe. As a special agent, Magda could potentially act as a government liaison for the mutants. Just imagine the emotional undercurrents if her sons reunite with her. There is evidence to suggest Lana Baumgartner, the hero known as Bombshell, already exists on Earth-616. Before the events of SECRET WARS, Lana had joined the Young Ultimates alongside Miles Morales. 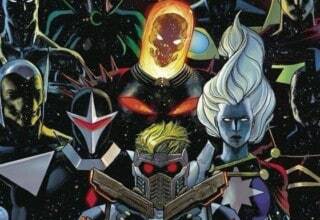 After several battles, the creation of Battleworld separated the team and wiped their memories. Miles was one of the few with memory of the past world, and working alongside other heroes, he brought an end to Doctor Doom’s godly aspirations. As thanks for saving the universe, Miles’ allies supposedly found homes on Earth-616 and were given happy normal lives. 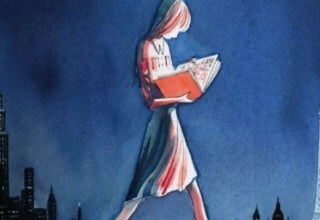 READ: Interested in alternate realities? Check out 5 of our favorite issues of Marvel’s WHAT IF series and experience the weirder side of Marvel comics! While Bombshell hasn’t made an appearance yet, her history suggests that she would fit right into the 616 vigilante game. A mutant, Bombshell’s energy manipulation powers came at a young age. Having powers herself, Lana’s mother drew her into bank robbery, and the pair made a killing as a supervillain team. After her capture by Spider-Man, Bombshell realized how far she had fallen, and she sought to join the Young Ultimates as redemption. While many young heroes would come to 616 looking for mentors, Bombshell could work as a mentor herself. She clawed her way back from her own guilt and became a true hero. While her original arc was lacking, her chance to grow and assist other young heroes would help earn her the recognition she deserves. Perfect may be a strong word for this couple, but they desperately need a cameo appearance. The catch, though, is that they have to come together. Before research, I didn’t know that this Ben Grimm and Susan Storm got married. After Reed Richards becomes the villain, Maker, Sue and Ben form a bond due to their their many years of friendship. In a welcome twist, Sue actually proposes to the Walking Boulder. While the pair deserves a cameo for this relationship alone, a Ben Grimm already holds a place on this Earth. However, his Ultimate Marvel counterpart is distinct in many ways. Ultimate Ben Grimm has three forms he can alternate at will. Originally stuck in rock mode, Ben faced a second evolution that gave him access to a purple energy form. Eventually, he also learned to repress both abilities and return to a human form. Sue Storm is likewise fascinating, though her abilities do not differ from her double. After Reed becomes a villain, Sue takes leadership of the Fantastic Four. She also joins with Tony Stark to form the Future Foundation think tank. Her intelligence takes center stage in the Ultimate Universe. An appearance would put her and Grimm at odds with Maker who has caused havoc ever since Jonathan Hickman’s NEW AVENGERS run. To not highlight such powerful and intelligent characters would be an absolute waste. I could include so many characters in this list. Uniqueness fills the Ultimate Universe as a darker reintroduction to characters. These ten represent some personal favorites, but so many others would make welcome additions to Earth-616. Several characters have already made appearances, like Jimmy Hudson and Miles Morales. Fans of the Ultimate Universe beg for more. With each new issue, we hope that the Ultimate Universe gets the respect it deserves. We can only trust that 16 years of creative work will not go unnoticed. Until then, now is the best time to catch up on those stories.